WM3 Benefit show, Rollins Band (W/Keith Morris), Denver, CO 2003-06-26, BLACK FLAG sets!!!! 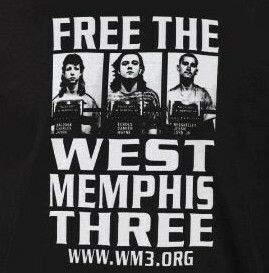 This was a benefit show for the West Memphis Three. If you don't know who they are and care about injustice check out their story. http://www.wm3.org/. This show was to raise money for new DNA testing. It's going on almost 8 year now since this show and there has been a little progress but they are all still in jail. This is my recording of that night. Again this is one that I pulled out of the vault and did a new transfer and remaster. 2 Black Flag sets from Keith and Henry with a couple of Ramones tunes thrown in at the end. Check it out. Blazing red hot Rock N' Roll in Boulder Colorado. This was right before their 2nd album came out and the set is full of numbers from it. If I recall correctly The Hookers opened up. I don't think that I had ever transferred it off of the master until now. Check it out. The Drive-by Truckers are coming to Denver this upcoming weekend to play a two night stand at the Ogden Theater. It got me to thinking about the 1st time that I saw them. It was at a much smaller venue. The (Worlds Famous) Lion's Lair. That place holds about 100 people give or take. Patterson Hood says during the show that this was the 1st time that they had every played in Colorado. # Small fade out / fade back in towards beginning of song. Fuzzed out amplifier worship for the hessian masses. For fans of this style of music this double bill of Weedeater and Zoroaster was pure bliss.